Hi, I'd like to show you this page I found on Van Hill Furniture's website. This item will bring industrial flair into your home without overstating it. Warm, distressed wood paired with square, steel legs and accents. This collection includes Bedroom, Occasional, and Media/Storage pieces. Locking, 360* Casters. The Loftworks 36" Trolley Cart by Jofran at Van Hill Furniture in the Grand Rapids, Holland, Zeeland area. Product availability may vary. Contact us for the most current availability on this product. Finish Tasteful distressing and finish variations should be expected and enjoyed. Storage Shelf Dimensions: 32" x 19" x 10.5". Bottom is 6" off floor. Bring industrial flair into your home without overstating it with this trending collection. Warm, distressed wood paired with square, steel legs. The Loftworks collection is a great option if you are looking for Industrial Transitional furniture in the Grand Rapids, Holland, Zeeland area. Browse other items in the Loftworks collection from Van Hill Furniture in the Grand Rapids, Holland, Zeeland area. 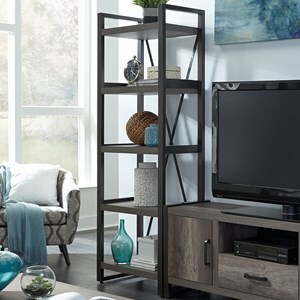 Van Hill Furniture features a great selection of living room, bedroom, dining room, home office, entertainment, accent, furniture, and mattresses, and can help you with your home design and decorating. View recent additions to our online furniture gallery. 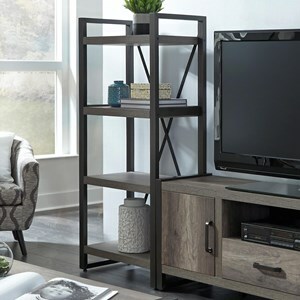 Van Hill Furniture offers great quality furniture, at a low price to the Grand Rapids, Holland, Zeeland, West Michigan Lakeshore area.